John Kasich, Lindsey Graham and George Pataki are the three Republican presidential candidates who are requesting air time from NBC stations as a result of Donald Trump's time on "Saturday Night Live." In letters to NBC-affiliated stations, the candidates are invoking the FCC's obscure "equal time" rules. "The network is currently working with those parties to find a resolution to their request," Dale Woods, president of WHO-TV, the Des Moines, Iowa, affiliate of NBC, told CNNMoney. Woods said the "resolutions could involve time on the network in other programs." An NBC spokeswoman did not respond to a request for comment on Monday. In theory the "equal time" provisions strive to level the television playing field for political candidates. In practice the rules only affect stations that broadcast over the public airwaves, and they're limited in scope. Newscasts and most talk shows are excluded from the rule. But "SNL" is included, which NBC knew before inviting Trump to host. The network's calculation was that the ratings bump and buzz from his night on the variety show would be worth the regulatory complications. 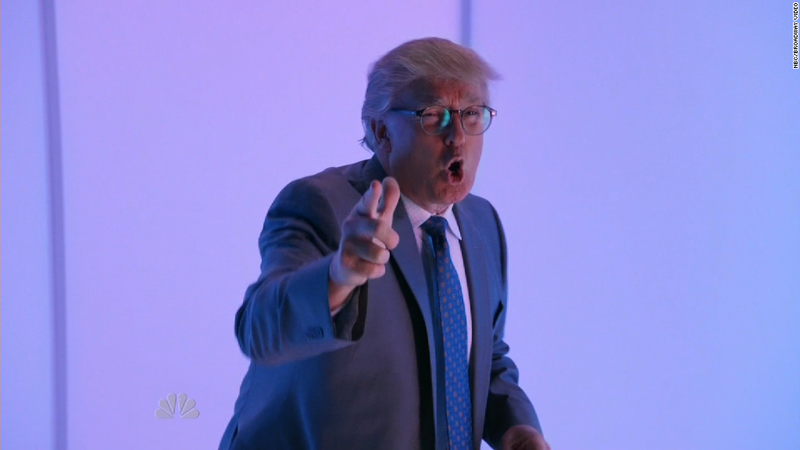 Candidate cameos on "SNL" also trigger "equal time" concerns, but Trump's appearance is more consequential because he was the host, appearing for about 12 minutes total. Qualified rivals are entitled to an equivalent amount of air time, although not an equivalent invite to host "SNL." The Kasich campaign's request was sent "to both the network and the affiliates that aired Mr. Trump's appearance." The Graham campaign's request is more narrow. It was sent to seven stations that broadcast in Iowa and New Hampshire. Pataki's request, first reported by CNNMoney last week, covered stations that broadcast in Iowa, New Hampshire, South Carolina, and New York. The seven-day window to file "equal time" requests has now closed, so Woods does not expect any more letters.